This paper explores methods that make use of visual cues aimed at generating actual haptic sensation to the user, namely pseudo-haptics. We propose a new pseudo-haptic feedback-based method capable of conveying 3D haptic information and combining visual haptics with force feedback to enhance the user’s haptic experience. 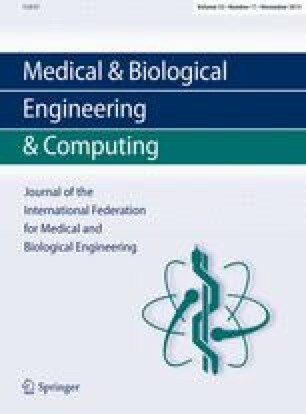 We focused on an application related to tumor identification during palpation and evaluated the proposed method in an experimental study where users interacted with a haptic device and graphical interface while exploring a virtual model of soft tissue, which represented stiffness distribution of a silicone phantom tissue with embedded hard inclusions. The performance of hard inclusion detection using force feedback only, pseudo-haptic feedback only, and the combination of the two feedbacks was compared with the direct hand touch. The combination method and direct hand touch had no significant difference in the detection results. Compared with the force feedback alone, our method increased the sensitivity by 5 %, the positive predictive value by 4 %, and decreased detection time by 48.7 %. The proposed methodology has great potential for robot-assisted minimally invasive surgery and in all applications where remote haptic feedback is needed. The research leading to these results has received funding from the National Natural Science Foundation of China (Approval No. 51175412), the China Scholarship Council, the GSTT charity, the National Institute for Health Research (NIHR) Biomedical Research Centre based at Guy’s and St Thomas’ NHS Foundation Trust and King’s College London, and the European Commission’s Seventh Framework Programme under grant agreement 287728 in the framework of EU project STIFF-FLOP. The views expressed are those of the authors and not necessarily those of the NHS, the NIHR, or the Department of Health.